Today I was reading and article about Amazon Echo and how Steve Wozniak likes it more then he likes Apple's Siri. I'll include the article below just in case you'd like to read it. In the article Steve says that while he thinks that Echo and Siri are being used in different environments may that may have something to do with why people are liking Echo better. I've never personally used Echo, but I have used Siri a fair amount and I think Siri does well for what it can do at this time. I also think that Siri will be integrated more and more by Apple into a lot of their products in the near future. So with Apple's market share it would make sense that Siri is here to stay. 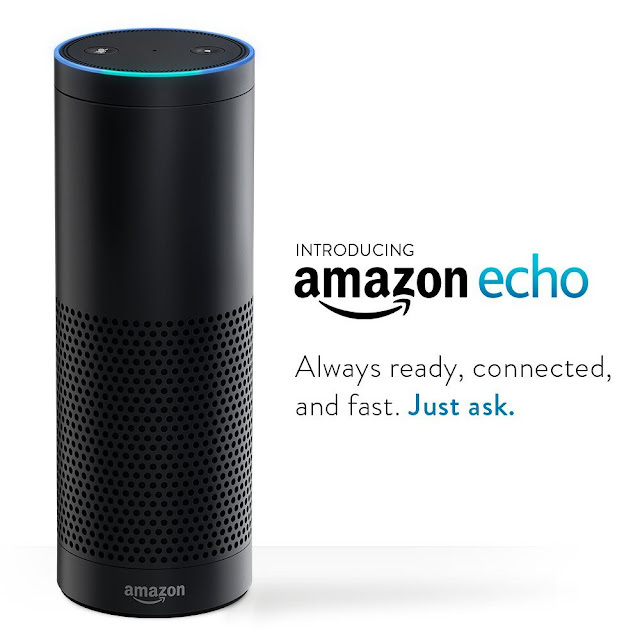 What are my your thoughts on Amazon Echo? As a side note: I would also like to know how you think Facebook's "M" project is going to play in this space.